Whether it's milk or juice at a breakfast buffet, or even wine by the glass at your restaurant, this carafe is the perfect vessel for service. 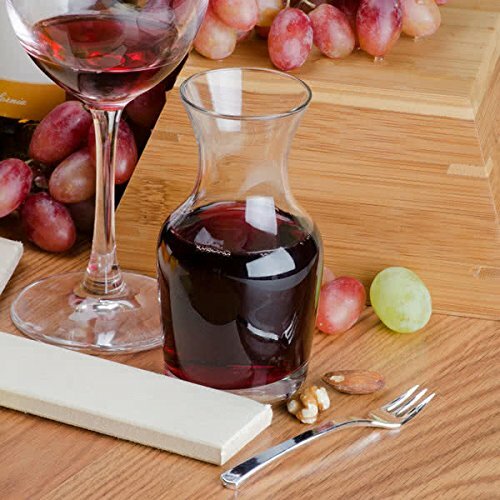 Thanks to its perfectly petite size and timeless design, this carafe ensures an elegant presentation while still being efficient and easy to use. Offering unparalleled brilliance and clarity, this carafe makes it instantly clear that your customers are receiving the best product and service possible. Overall Dimensions: Top Diameter: 2 Inches; Bottom Diameter: 2 1/8 Inches; Height: 4 11/16 Inches; Capacity: 6.5 oz.